Promoting books is all about exposure. No, I don't mean running around the neighborhood nekkid, although that might get a lot of attention. What I mean is that people have to know about your book in order to be interested in reading it, and that entails spreading the word far and wide on the Internet and in the real world. 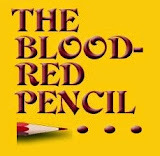 In my earlier post here at The Blood-Red Pencil this month, BSP - It's All About Buzz, I mentioned how much I dislike this promotional part of the writing biz, and most of the comments on that post shared the same sentiment. So it was kind of ironic that in my research for this article I came across this bit of advice from Tony Levelle in a blog post on the Writers Store Ezine. He suggests that we change that negative to a positive. Think of book promotion as storytelling. The story you are telling is why you wrote your book, how it can help others, and how the world will benefit from your book. If you can develop a positive attitude about book promotion, people will pick up on it, and tune in immediately. That makes sense. If we are not excited about our books, who is going to be? The last few times I have had signing events, I've had some nice conversations with potential readers about the story as they checked out my book. Those conversations helped me remember why I wrote the book and rekindled the passion I had for the characters and the story. The more we talked, we generated a mutual enthusiasm for the subject of the story, and that often led to a sale. Because I've always enjoyed these interactions with interested readers, I appreciated the following tips that I found on Seth Godin's Blog, Advice for Authors, He has other tips there that are worth a moment of your time. If you've got the patience, bookstore signings and talking to book clubs by phone are the two lowest-paid but most guaranteed to work methods you have for promoting a really really good book. If you do it 200 times a year, it will pay. If you want to reach people who don't normally buy books, show up in places where people who don't usually buy books are. Media places, virtual places and real places too. 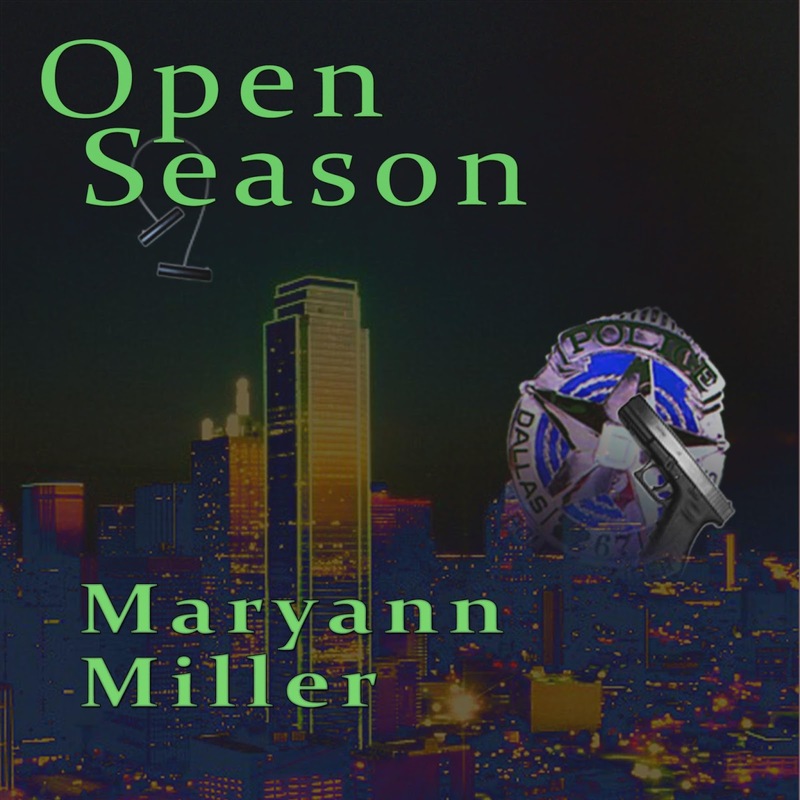 So now I want to share some excitement about Open Season, the first book in the Seasons Mystery Series, which is now available as an audiobook. One of the reasons I wrote the book was to process what still happens too often between police officers and the general public, and that is racism. When I first started developing the story about two homicide detectives in Dallas, there was a huge outcry in the city because of a young black boy being shot by a white cop. Unfortunately, not a lot has changed between the years when the story idea came to me and the present day, and the flames of hatred and bigotry burn hotter than ever. I find that such a sad state of affairs. The slap caught her off guard and Angel was out the door before Sarah even registered the stinging on her cheek. She reached up and touched the spot, feeling the radiating heat. 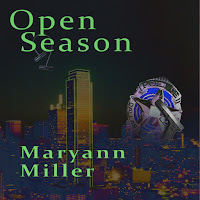 Production of the audio book for Open Season was just completed and the book is available now at Audible.com. If you sign up for an Audible membership you can get the book free. The audio version will be available for purchase at Amazon and iTunes within a few days. To maintain the same look, my cover artist adapted the art for the e-book for a new cover for the audio version. Now it's your turn. Please leave a comment and share your experiences with promoting and some excitement for one of your books. Posted by Maryann Miller - novelist, editor and sometimes actress. 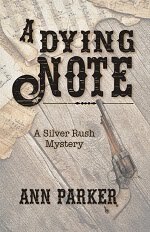 Her most recent mystery, Doubletake, was named the 2015 Best Mystery by the Texas Association of Authors. 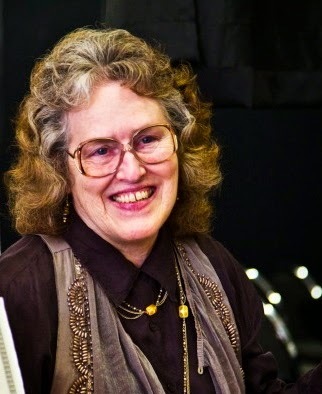 She has a number of other books published, including the critically-acclaimed Season Series that debuted with Open Season. Information about her books and her editing rates is available on her website. When not working, Maryann likes to take her dog for a walk and work outside on her little ranch in East Texas. A good attitude for authors to have about book promotion, Maryann. I love telling the story of my book. Whenever I talk about it to someone new, it sounds new again to me too and that excitement comes through. A very helpful article! Being willing to promote your book yourself is becoming ever more important when it comes to sales figures. My husband writes middle-grade Y/A fantasy novels for a small Edinburgh-based publishing firm called Floris Books. To boost sales, he visits schools, equipped with a travelling "road show" that includes a variety of story-based activities for the kids. On the back of his presentation, he recently sold over a hundred books in one day to pupils at a school in Dundee. If you write Y/A novels, do consider taking your work into schools. It's great fun and makes your publisher Very Happy to sign you up for additional works. Very good point, Debby. I have a number of friends who do children's and YA books and do well going to schools. Going into other places besides bookstores, I have had good luck with art festivals and even our farmer's market. Yep, no doubt about it, Maryann ... but here lies the rub for Homey: 'If you do it 200 times a year, it will pay.' That's been my issue from day one ... good promotion requires endless follow-up ... and I get bored and sidetracked waaaaay too easily. Anyway, congrats on the new tome ... hope you sell a million of 'em! 365 days/year - 200 in going off somewhere to promote = 165 to write which isn't enough. And that doesn't count the setup time, finding venues, making arrangements, travel expenses. LOL, Terry, I would never try 200 a year. But folks like Seth Gobin write one book and market the heck out of it. Most of his are nonfiction. A bit easier to write and easier to target specific places to speak. At least that is my take on it. Thanks, Christopher. Sometimes I get overwhelmed with the enormity of what some folks are doing for promotion and want to chuck it all and go play a computer game. But what I have come to realize is that I have to pick and chose what I can do and not try to do it all. Marketing is a royal pain, but comes with being an indie (or nowadays, just about any kind of) author. I had some success with offering pre-orders at a deep discount and donating the royalties to a charity near and dear to me. I like to think I was raising awareness for the charity as much as getting my book up there in the rankings. One thing I've learned is that marketing on social media is probably worse than a waste of time if you're going the 'buy my book' route. But engaging people -- I ask for help with character names or post snips from the WIP helps get ones name out there. Offering to support a charity is a great idea. When One Small Victory first came out, I donated part of the proceeds from signing events to a local rehab center. Drug issues were part of the plot, and it seemed like a good thing. The local signing events always did well when folks knew about the donation. I definitely mix it up. 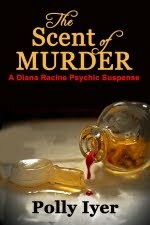 Promotion for my Kindle Scout entry was torture. I was actually begging people to nominate my book. It made me so uncomfortable. I don't promote paper books at all. I don't like it and decided to put my efforts into ebooks. I do interact on Facebook, hate Twitter and believe most of it is preaching to the choir. 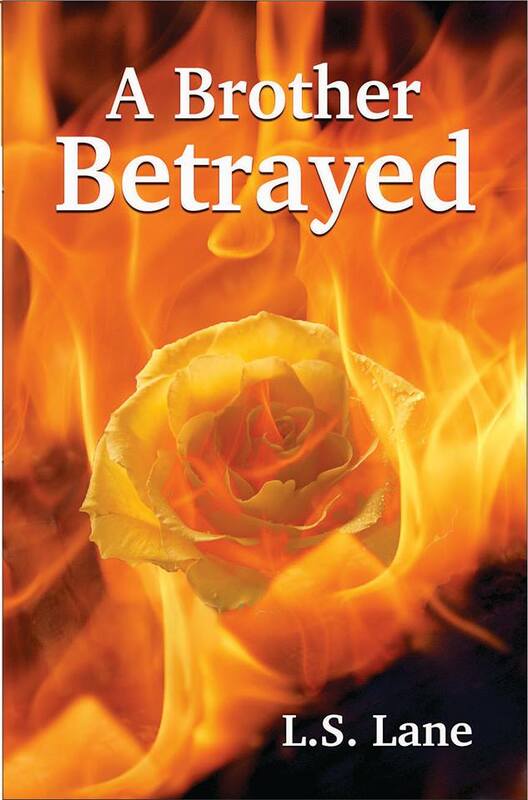 Since I just finished a five-day giveaway and was lucky enough to get a BookBub ad, I sold more books in the series only than I had in quite some time. We have to find out what works for us and what doesn't. I still say the best promotion is to write a good book that gains readers who you hope will try the others. 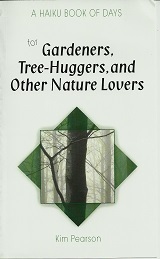 By the way, Maryann, your excerpt was great. I liked it so much, I bought the book to add to my all-too-long TBR list. I think I'll push it near the top of the pile. Great info, Maryann, and a much needed kick in the backside. I'm almost at the point where I will be in full BSP mode, so this is a keeper for me.